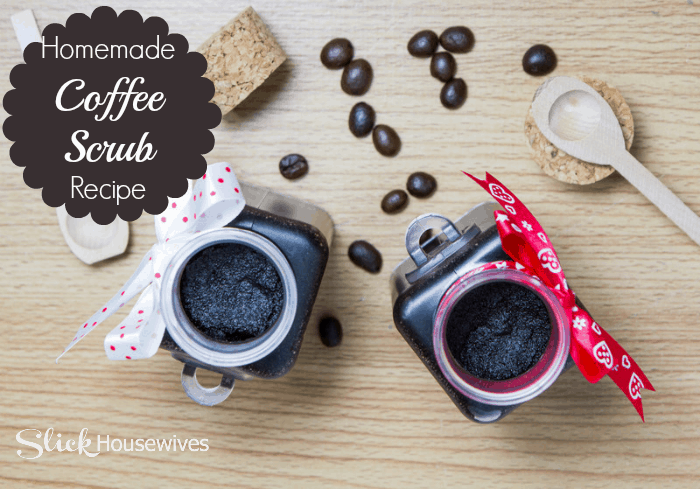 I’m not a doctor, nor do I play one on the web, but I do believe that this Coffee Scrub Recipe has many benefits because I’ve seen them firsthand! Here are some of the benefits that I’ve read about or seen for myself! 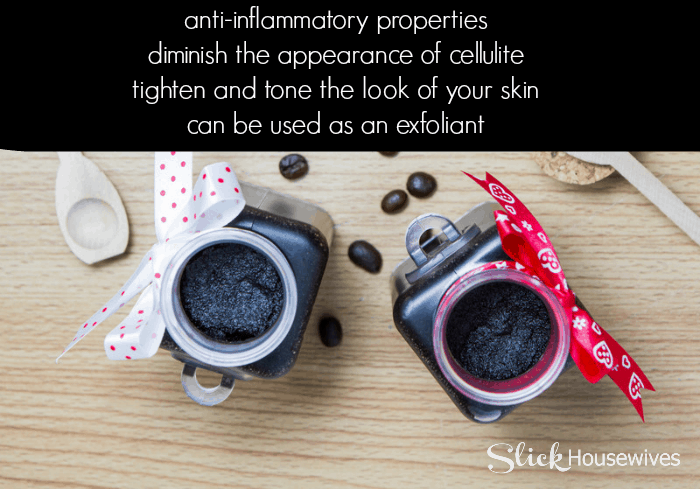 Using the Coffee Scrub is very simple. Just head to the shower and massage the scrub into your skin. You might want to do a small patch test prior to using all over, to make sure you are not allergic in some way. The scrub will help exfoliate your skin and leave you soft and smooth. Don’t be alarmed when your tub looks like a mud pit. Just make sure to use warm water so that it drains and doesn’t clog. Stir all ingredients together until combined. Store in a sealed jar for up to 2 months. I really like the way my skin feels after using this Coffee Scrub Recipe and try to use it at least 3 times a week! It also makes the perfect gift! Just add a cute bow and Voila!